This is for all of you ladies, who are out there who are always striving to be “perfect”, who are stressed and anxious or who are struggling to move forward in either their business or life goals. So before we get into it… the question is, are you a perfectionist? You absolutely hate the thought of making mistakes and sometimes, you’re paralyzed by it. You’d rather not do it, than make a mistake or do something that isn’t perfect. You do anything and everything to achieve your goal, even if it means giving up your health or time with your loved ones to achieve it. When you’re so driven to achieve your goal, you don’t enjoy the journey and when you don’t achieve your goals, you feel like an absolute failure! You like to control things. You have the attitude that it needs to be done your way and you can’t stand it if it’s not done to your standards. Your expectations and standards are way too high and it brings you stress and anxiety. They certainly apply to me. Most of you who know me, or who have worked with me, will definitely agree with me on this one! However, I have tried to reduce the urge to be neurotic, wherever I can. Because I know that it can either be a benefit or a detriment. You focus on making progress. You’re never happy with yourself. You just always striving and you never enjoy the journey. 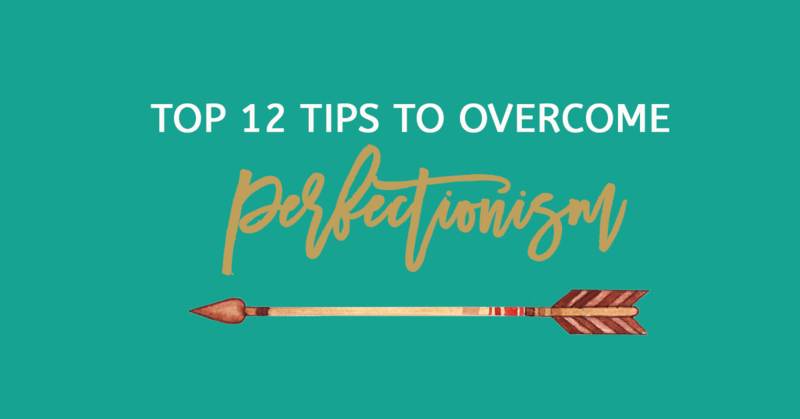 So now that we’ve covered that, I want to take you through some tips and ideas that I have used personally to move myself past the perfectionism and procrastination. It may help you launch that business you’ve always wanted to launch or that podcast you’ve always wanted to start? Maybe you will finally write that book? Or launch that online course? It may even help you be a good mother or be a better partner, coach or mentor. Whatever stage you’re at right now, these tips will help you move into 2017 with the right mindset and help you move forward with your goals. Listen to the Wild Woman Run Free Podcast Episode 023 to here my top 12 tips to move from perfectionism to progress! I look forward to hearing from you and about your progress and achievements. Please share your journey on the Wild Woman Run Free Facebook Group or leave a comment below. If this podcast has inspired you today and you know someone who needs a little help around perfectionism, feel free to share this podcast too and if you have a few minutes, please rate the Wild Woman Run Free podcast on iTunes or Stitcher. Live Wild, Live Free. Wild Woman Run Free!